The super sub struck a brilliant brace, including a 104th-minute winner, as the Hornets hit back from 2-0 down with 11 minutes left to win 3-2 at Wembley. The 25-year-old turned the game with an audacious chip before Troy Deeney’s 90th-minute penalty sent it into extra-time. 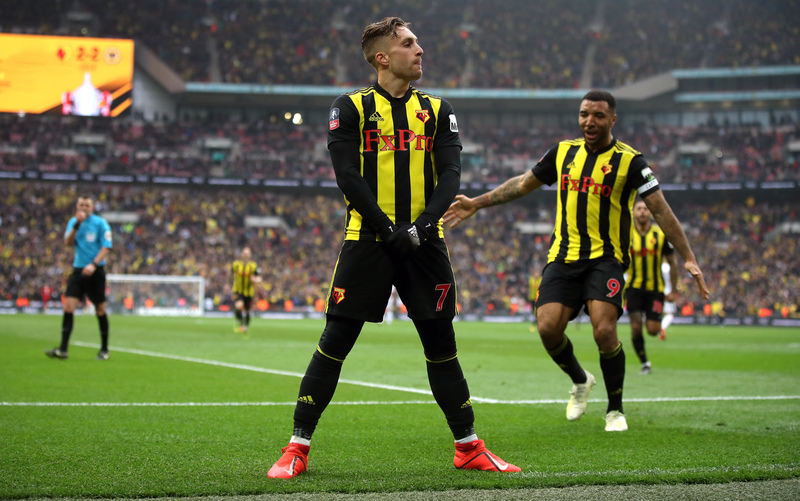 Watford’s Gerard Deulofeu celebrates his extra-time winner against Wolves (Nick Potts/PA). Wolves were on the brink of reaching their first FA Cup final for 59 years after goals from Matt Doherty and Raul Jimenez put them 2-0 up with 62 minutes gone, but Deulofeu’s 66th-minute introduction sent the Hornets into their second FA Cup final and first since 1984, where they will face Manchester City. Gracia said: “I think Gerard was angry when we started to play, I like to see the players this way, when they’ve felt angry, to show what they are able to do. “He helped the team scoring two important goals. The first one was high quality, but it’s not a surprise, I see him in all the training sessions. “We knew when we started with other players Gerard would be important, I knew it. What I didn’t know was when we started to play we were losing 2-0. Wolves were in control and cruising thanks to Doherty’s 36th-minute opener and Jimenez’s close-range finish just after the hour. Deulofeu’s superb chip with 11 minutes left pulled a goal back to set up a grandstand finish. 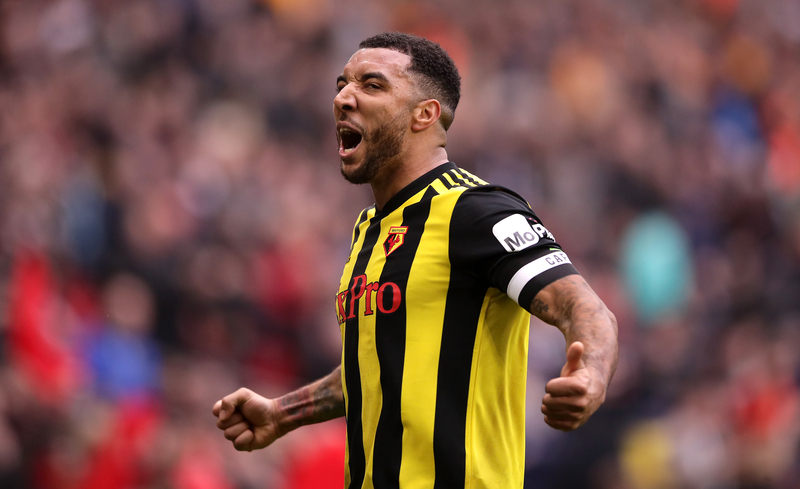 Deeney’s penalty then hauled Watford level in added time after the striker was tripped by Leander Dendoncker. Troy Deeney’s nerveless penalty took the match into extra-time (John Walton/PA). Gracia added: “Troy is our captain and is important and in that moment I was full of confidence. I was calm because I knew Troy would score. Deulofeu won it after 104 minutes when he latched on to Andre Gray’s pass, held off Conor Coady and rolled a finish past John Ruddy.
.@Nuno‘s verdict on a heartbreaking afternoon at Wembley. “It’s a tough moment of real pain and disappointment,” said Wolves boss Nuno Espirito Santo. “The feeling is we had it. It went away from us, we have to look at it, we have to realise in the last minute of the game we should manage better. “It’s pain and silence (in the dressing room) of course. All that we’ve done, the tough ties we have had to reach Wembley, now it’s over. We face it as a group. “Every challenge we have, it’s up to us to work on it. Even though we are in real pain we are conscious we should have done better. 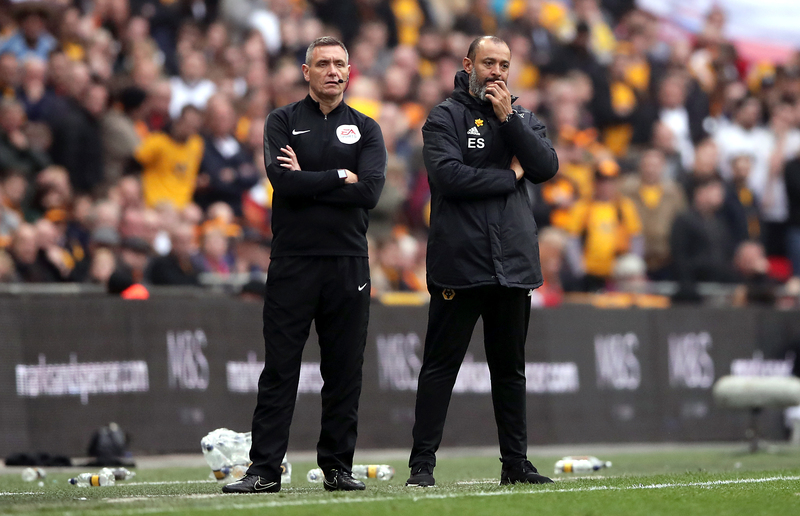 Wolves manager Nuno Espirito Santo was unable to stop the match slipping away from his team in extra-time (John Walton/PA). Nuno also trusted the video assistant referee after VAR was used to check on Michael Oliver’s crucial penalty decision. “If VAR is in the game, if they judge the situation and see the images, I trust them,” he added. “The moment that happened we realised it was going to be tougher for us, the momentum of the game was with Watford.